Cedarlane Shipping Supplies offers an extensive selection of engineered climate control products for the transportation and storage of perishable and time-sensitive goods. The company serves multiple industries, including food, biopharmaceutical, and life sciences. Cedarlane Shipping Supplies has formed strong relationships with industry leading manufacturers and is able to offer a wide variety of high-quality cold chain packaging and services. Cedarlane Shipping Supplies has a deep understanding of the challenges its customers face and offers both off-the-shelf and custom solutions to meet the needs of a variety of different markets. The company’s current customers consist primarily of those involved in clinical trial distribution, tissue and organ donors, specialty pharmacies, and third-party logistics, as well as pharmaceutical and biotech manufacturers. Cedarlane Shipping Supplies is partnered with industry-leader Cold Chain Technologies and represents its extensive and reliable product line in Canada. Cedarlane transports goods of all shapes, sizes, and temperature requirements in validated containers designed to keep contents at either controlled room temperature (between 15°C and 25°C), refrigerated (between 2°C and 8°C), or frozen (-20°C). With options designed for shipment durations of anywhere from two to five days, Cedarlane Shipping Supplies helps ensure precious cargo is not placed at risk. In addition, both universal and seasonal solutions are available depending on the customer’s preferences. Cedarlane Shipping Supplies’ products and services meet industry demands and are at the cutting-edge of cold chain technology. The company has recently started using a solid phase change material (PCM) gel in its solutions, meaning they are completely non-toxic and offer high coverage, insulation, and durability. One of Cedarlane Shipping Supplies’ specialties is designing custom solutions for customers with unique requirements. The company utilises the best resources to ensure that the end result is an optimised and custom thermal packaging system. Cedarlane works with its clients to analyse their requirements, which include payload size, shipping duration, and temperature range. A detailed cost analysis is then produced to find where savings can be made without compromising the integrity of shipments. There are many factors involved when determining cost, including the packaging itself, the ease of the pack out, and freight costs. Cedarlane Shipping Supplies understands that a cheap, large, and heavy shipper will most likely cost more in the end than a high-quality, small, and light shipper once inbound and outbound freight are considered. Part of the design process also includes developing a temperature profile that matches the logistics a product will experience using Cedarlane’s library of historical weather data from Statistics Canada. Once a temperature profile has been established, Cedarlane Shipping Supplies will begin to design a custom package, including the right size container for the payload and added gel packs, phase change materials (PCM), and foam to protect it from moving around in transit. This design will be extensively laboratory tested to create confidence that the thermal packaging system is capable of consistently operating within established limits and tolerances. The packaging will also be tested in climate-controlled chambers, which mimic the temperature profile. Verified documentation will be recorded to ensure performance is effective and reproducible throughout the anticipated operating ranges. Finally, the solution is tested in the field to verify that it meets all functionality requirements and the qualification documents are completed. No matter the temperature range, shipment duration, or ambient temperature profile, Cedarlane will be able to provide a customised solution. Located just outside of the Greater Toronto area in Burlington, Ontario, Cedarlane Shipping Supplies is perfectly equipped to serve Canada’s largest hub for medical and pharmaceutical administration and research. The company aims to deliver supplies as quickly as possible, which often means clients will recieve the product within 24 hours or less. Cedarlane also has access to a plethora of data on Canadian weather and transport routes for developing robust temperature profiles. In addition, Cedarlane Shipping Supplies is working with Cold Chain Technologies to develop a series of off-the-shelf solutions that have been vigorously tested and validated for shipping from St. John’s to Vancouver. Contact Cedarlane via the enquiry form or contact details below for a consultation on the right thermal packaging solutions for you. The company’s knowledgeable and friendly staff will be more than happy to share what Cedarlane has available, or work with you to create your own customised solution. Recent growth in temperature sensitive distribution regulation has seen a flourishing thermal packaging market. This guide provides a tool for evaluating temperature-sensitive packaging, including best practices and market segments. Tempshield CryoGloves provide the maximum level in thermal protection, dexterity, and flexibility. The act of designing, creating, and qualifying a thermal packaging system can be a daunting task. When choosing Cedarlane Shipping Supplies for your thermal packaging project, you will have peace of mind that only the best resources are being utilised to ensure the end result will be a perfectly optimised thermal packaging system for your temperature sensitive products. Cedarlane Shipping Supplies offers a wide selection of ice packs that range in quality, size, and style. They are designed to keep your perishables safe in the harshest of shipping environments. Designed for temperature-sensitive shipments that do not require extensive testing documentation, Cedarlane Shipping Supplies has coolers in all shapes and sizes. If you have a shipment that will be in transit for anywhere from one to five days, you have come to the right place! Introducing the solid-gelled phase change materials (PCM) from Cold Chain Technologies, available in Canada exclusively through Cedarlane Shipping Supplies. 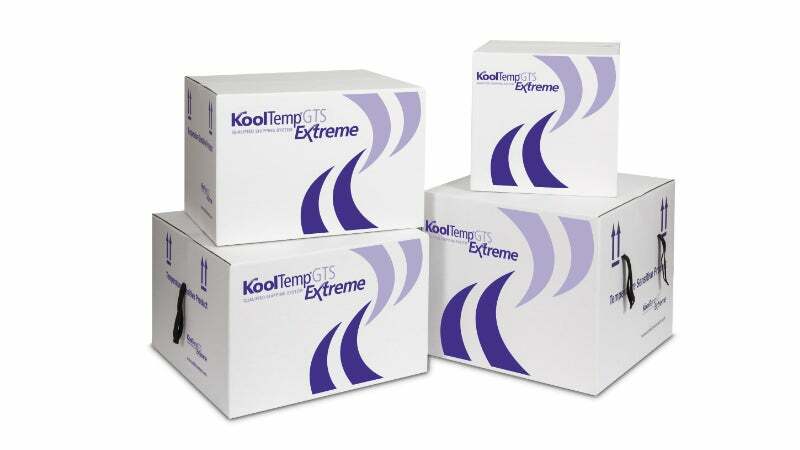 Cedarlane Shipping Supplies provides temperature-sensitive shipping products such as thick and thin wall foam containers with or without printed outer corrugate boxes, gel packs, and foam packs.